Fannie Mae is an American financing company that provides easy mortgage financing in all the markets. It was created during the Great Depression, in 1938 by Congress to provide a reliable and steady source of funding for housing. It is also known as Federal National Mortgage Association (FNMA) and was listed as a public company in 1968. It is a government sponsored enterprise (GSE). The company was hit hard during the global recession of 2000 but due to government support it remained in market and helped the public with their housing mortgage. It resumed reporting profit in 2012. Federal Housing Finance Agency (FHFA) has been acting as a conservator for Fannie Mae since 6th September 2008. This gave FHFA exclusive right to the company assets, shareholders, privileges, etc. The organization basically operates in the U.S. residential mortgage markets and global securities market. As on 30th September 2018 the company guaranteed 26% of the outstanding mortgage debt, total debt approximated around $12.2 trillion, in the U.S. market. Single-Family Business and Multi-Family Business are two main operational business segments that the company serves with its wide range of housing mortgage products. The company employs around 7400 employees as of 2019. Fannie Mae vision is to be “America’s most valued housing partner and to provide liquidity, access to credit and affordability in all U.S. housing markets at all times, while effectively managing risk”. 1. Indefinite Conservatorship under Federal Housing Finance Agency: The organization was put under conservatorship of Federal Housing Finance Agency (FHFA) in September 2008 for an indefinite period of time. This created a lot of uncertainty regarding the future of the company, its role in the market and ownership. It is also under senior preferred stock agreement with the Treasury which makes their approval mandatory for ending the conservatorship, whenever it may take place. As they are only permitted to maintain retained earnings of $3 billion, any deficit beyond that would need to be funded by the Treasury, which if defaulted will put them under receivership. This in turn increases their dependence on the Treasury. In the scenario of default the liquidation of assets would not be sufficient to repay the stockholders. The directors are not bound to consider the interests of the company but, only work for the interest of the Treasury. This limits the decision making ability of the company in sensitive matters like pricing, market engagement programs, etc. along with a misalignment of the business objectives with the investment objectives that may limit the trust of investors and creditors. 2. Dependence on talent and its retention: The Company is in a very sensitive business where any policy decision or faulty approval may result in huge losses to the entire organisation. This increases its dependence on the talent pool that may be well trained and skilled to ensure success of the group. But, the uncertainty about the company’s future and the limitations imposed by the conservatorship do not allow them to adequately compensate the employees. As a law they are not allowed to pay any bonus to the executives, the CEO cannot receive a compensation of over $0.6 million, and have a limited decision making power. This already led to the departure of the former CEO and other similar departures in short run may result in an operational efficiency loss for the company. The overall financial sector is booming and they may attract better talents for themselves. Also, the company needs to device a proper succession plan for proper functioning. 3.	Business requirement of a large number of transactions daily: The nature of work relies heavily on large number of financial transactions by both the organisation and its third party players. Any default in these transactions may result in legislative action against the organisation. Much of the work is carried out manually and will remain to be a weakness for the company till proper automation is carried out. The company also lacks a well-defined structure on how it collects, validates and stored the data. This further increases the risks of operational failures. Any breach in the security of the organisation could compromise the financial data of its clients, thus posing an additional concerns for them is the data is not managed securely. In order to manage such large volume of transactions the company makes use of a number of financial models that it manages internally. Any failure may cause further issues for the company. 4. Limitations on accessing the debt market: There are market speculations about the tenure of government support to the company, the future growth of the company and the creditworthiness of the US Government itself that may hamper the access to the unsecured debt markets. If it does not acquire debt there are chances that the organisation may not be able to repay the maturing debt that may lead to liquidity crises in the organisation. They may not be able to sell-off the mortgage related assets in this scenario thus preventing the company from escaping liquidity. As per the 2018 annual report, their long term debt is rated ‘Aaa’ by Moody’s, but if it falls below this it could increase their cost of capital. Being a GOE their ratings are linked to that of the government and the on-going government shutdowns could lower the rating of both the US government and Fannie Mae. Thus, the derivatives clearing organizations will start demanding additional collateral against the issued debt. 1. Social Diversity in the United States: USA is a very diverse Nation which has its population divided on various socio-economic factors. More than the religion, caste, creed, etc. the society is divided on the grounds of the race, economic background, earning capacity, ethnicity, etc. This creates bunches of different markets for the firm in the same country. The group needs to ensure that they understand the cultural difference and use appropriate strategies to properly target these groups. Local hiring strategies may help the cause in this case, along with specially targeted plans that best suit the customers. The company also needs to be careful while hiring people as the sales people that deal with customers are the ones that represent the company to them and any defaulter from their side will in turn tarnish the image of the organisation. 2. Serving the underserved markets: The Company operates in a niche sector of loan refinancing which is a heavily regulated domain with a few number of large players. It was created by US Congress to support the economic activity in the housing mortgage sector and it continues to do so by its policy of serving the underserved market, specially the affordable housing schemes that it covers under the singe-family and multifamily domains. It came out with the ‘Duty to Serve’ plan in January 2018 that covered the manufactured housing, rural housing and affordable housing preservation. 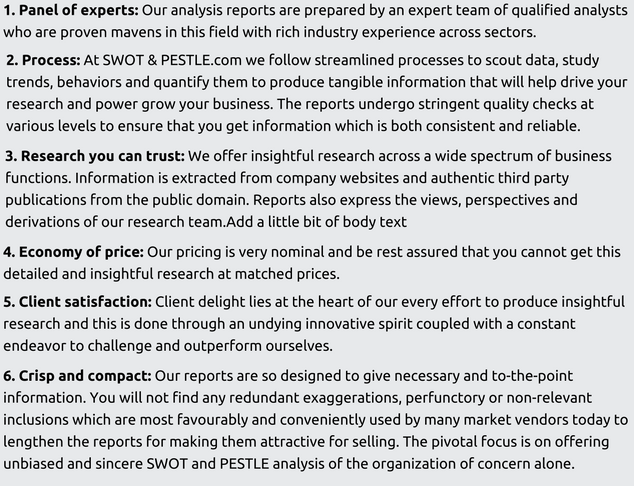 This has resulted in the inclusion of these objectives in the core strategy of the company. Multifamily business domain works specifically in this sector and with its low income housing tax credit scheme it continues to serve the affordable housing sector. They are also working with partners towards streamlining the removal of barriers to homeownership. Even the rural housing market is boosted by the duty to serve credit for various activities in this sector. 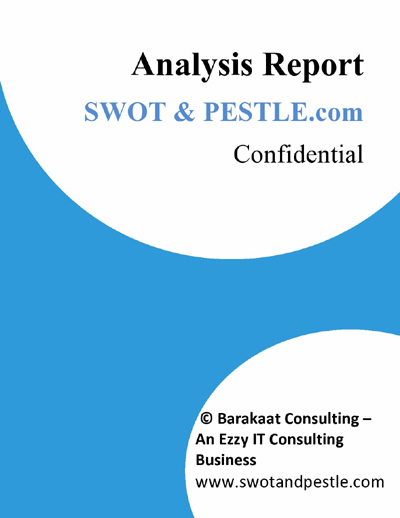 Fannie Mae SWOT and PESTLE analysis has been conducted by Aseem Kalsi and reviewed by senior analysts from Barakaat Consulting. 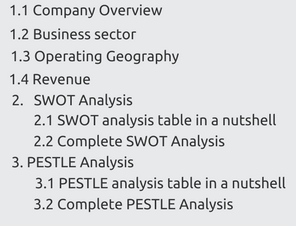 Copyright of Fannie Mae SWOT and PESTLE Analysis is the property of Barakaat Consulting. Please refer to the Terms and Conditions and Disclaimer for usage guidelines.